Now that the Libertarian Futurist Society has announced its 2019 finalists for the Prometheus Hall of Fame (Best Classic Fiction) and posted the news on our lfs.org website and on this Prometheus blog, LFS members (and all interested sf fans) might be curious about where you can find and read them. As a happy result, most finalists should be quicker and easier to read this year. Yet, stories are harder to look up and find than novels at the bookstore or library. So here is a helpful guide to all the books and story collections that have included each 2019 finalist, based on a search of the Internet Science Fiction Database and Amazon websites. Each Hall of Fame finalist is listed below, with its original publication and year and capsule description; plus, collections of the specific author’s work, or omnibus volumes by the author, that include it; and also any anthologies that include it, with their editors. Each part is in chronological order. To make global computer searches more effective, the list follows the style of the title of each source that’s currently available directly through Amazon with an asterisk (*) (not counting old/used copies that are available from resellers who sell through Amazon). In many cases, electronic “ebook” versions are available, too. “Sam Hall,” by Poul Anderson (a short story first published 1953 in Astounding Science Fiction): A story set in a security-obsessed United States, where computerized record-keeping enables the creation of a panopticon society. The insertion of a false record into the system leads to unintended consequences. Anderson, the first sf author to be honored with a Special Prometheus Award for Lifetime Achievement, explores political implications of computer technology that now, decades later, are widely recognized. 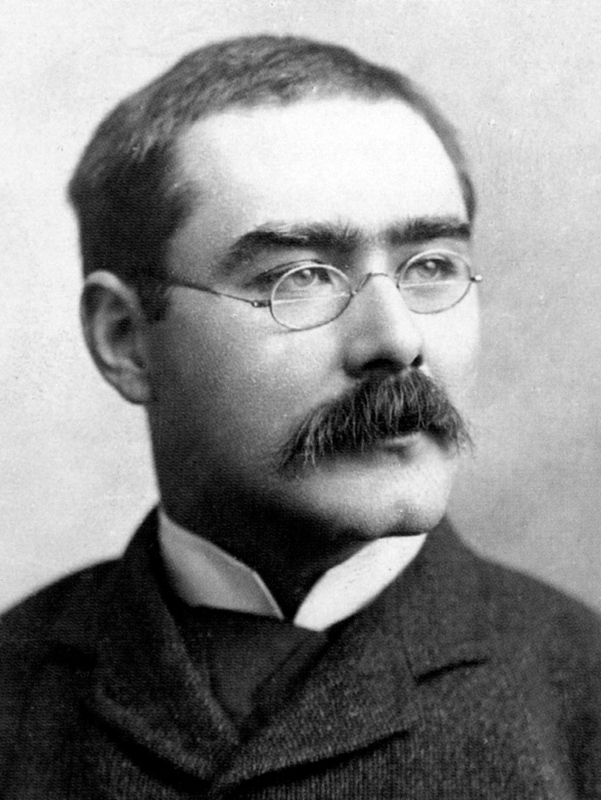 “As Easy as A.B.C.,” by Rudyard Kipling (first published 1912 in London Magazine), the second of his “airship utopia” stories, envisions a twenty-first century world founded on free travel, the rule of law, and an inherited abhorrence of crowds. Officials of the Aerial Board of Control are summoned to the remote town of Chicago, which is convulsed by a small group’s demands for revival of the nearly forgotten institution of democracy. 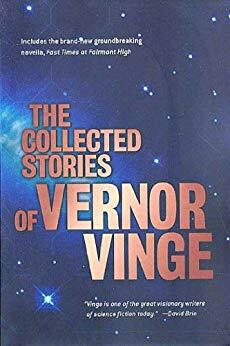 “Conquest by Default,” by Vernor Vinge (first published 1968 in Analog), Vinge’s first exploration of anarchism, offers a story about human civilization being overwhelmed by a superior alien force, told from the point of view of an alien sympathetic to the underdogs, who finds a way to save the humans by breaking up governments into much smaller components. The alien culture uses a legal twist to foster extreme cultural diversity, as characters draw explicit parallels between the plight of humanity in the face of superior alien tech and the fate of Native Americans faced with European invaders. “Harrison Bergeron,” by Kurt Vonnegut (first published 1961 in the Magazine of Fantasy and Science Fiction), a dystopian short story, set in a United States where constitutional amendments and a Handicapper General mandate that no one can be stupider, uglier, weaker, slower (or better) than anyone else, satirizes the authoritarian consequences of radical egalitarianism taken to an extreme that denies individuality and diversity. 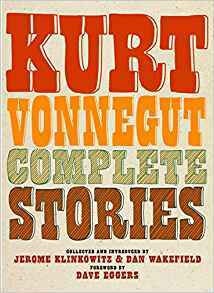 Vonnegut dramatizes the destruction of people’s lives and talents and the obliteration of basic humanity via a denial of emotions and knowledge that leaves parents unable to mourn a son’s death. 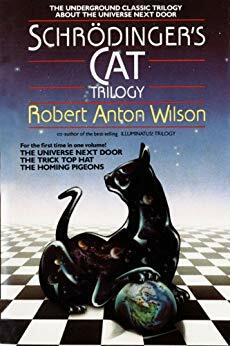 * Schrödinger’s Cat: The Universe Next Door, by Robert Anton Wilson (first published 1979 by Pocket Books), a parallel-worlds novel, draws upon theories from quantum mechanics to explore themes about the evil of violence, particularly political coercion and the carnage of the Vietnam War. The speculative fantasy features alternate versions of characters from the Illuminatus! trilogy by Wilson and Robert Shea, which won the Hall of Fame Award in 1986. The Libertarian Futurist Society has selected five finalists for the 2019 Prometheus Hall of Fame award. • “As Easy as A.B.C.,” by Rudyard Kipling (first published 1912 in London Magazine), the second of his “airship utopia” stories, envisions a twenty-first century world founded on free travel, the rule of law, and an inherited abhorrence of crowds. Officials of the Aerial Board of Control are summoned to the remote town of Chicago, which is convulsed by a small group’s demands for revival of the nearly forgotten institution of democracy. 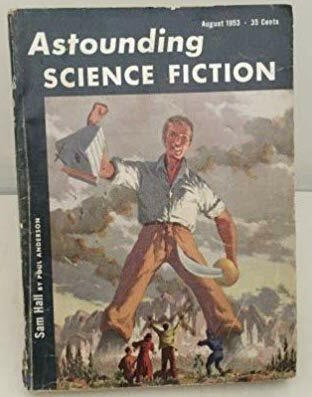 • “Sam Hall,” a short story by Poul Anderson (first published 1953 in Astounding Science Fiction): A story set in a security-obsessed United States, where computerized record-keeping enables the creation of a panopticon society. The insertion of a false record into the system leads to unintended consequences. Anderson, the first sf author to be honored with a Special Prometheus Award for Lifetime Achievement, explores political implications of computer technology that now, decades later, are widely recognized. • “Harrison Bergeron,” by Kurt Vonnegut (first published 1961 in the Magazine of Fantasy and Science Fiction), a dystopian short story, set in a United States where constitutional amendments and a Handicapper General mandate that no one can be stupider, uglier, weaker, slower (or better) than anyone else, satirizes the authoritarian consequences of radical egalitarianism taken to an extreme that denies individuality and diversity. Vonnegut dramatizes the destruction of people’s lives and talents and the obliteration of basic humanity via a denial of emotions and knowledge that leaves parents unable to mourn a son’s death. • “Conquest by Default,” by Vernor Vinge (first published 1968 in Analog), Vinge’s first exploration of anarchism, offers a story about human civilization being overwhelmed by a superior alien force, told from the point of view of an alien sympathetic to the underdogs, who finds a way to save the humans by breaking up governments into much smaller components. The alien culture uses a legal twist to foster extreme cultural diversity, as characters draw explicit parallels between the plight of humanity in the face of superior alien tech and the fate of Native Americans faced with European invaders. • Schrödinger’s Cat: The Universe Next Door, by Robert Anton Wilson (first published 1979 by Pocket Books), a parallel-worlds novel, draws upon theories from quantum mechanics to explore themes about the evil of violence, particularly political coercion and the carnage of the Vietnam War. The speculative fantasy features alternate versions of characters from the Illuminatus! trilogy by Wilson and Robert Shea, which won the Hall of Fame Award in 1986. In addition to these nominees, the Hall of Fame Committee considered nine other works: “The Man Who Sold the Stars,” by Gregory Benford; “ILU-486,” by Amanda Ching; The Mirror Maze, by James P. Hogan; That Hideous Strength, by C.S. Lewis; A Mirror for Observers, by Edgar Pangborn; A Time of Changes, by Robert Silverberg; Daemon and Freedom, by Daniel Suarez, as a combined nomination; The Once and Future King and The Book of Merlyn, by T.H. White, as a combined nomination; and “Even the Queen,” by Connie Willis. The Prometheus Award, sponsored by the Libertarian Futurist Society (LFS), was established and first presented in 1979, making it one of the most enduring awards after the Nebula and Hugo awards, and one of the oldest fan-based awards currently in sf. Presented annually since 1982 at the World Science Fiction Convention, the Prometheus Awards include gold coins and plaques for the winners for Best Novel, Best Classic Fiction (Hall of Fame), and occasional Special Awards. For four decades, the Prometheus Awards have recognized outstanding works of science fiction and fantasy that dramatize the perennial conflict between Liberty and Power, favor private social cooperation over legalized coercion, expose abuses and excesses of obtrusive government, critique or satirize authoritarian ideas, or champion individual rights and freedoms as the mutually respectful foundation for peace, prosperity, progress, justice, tolerance, mutual respect, and civilization itself. For more information or to nominate a classic work for next year, contact Hall of Fame judging committee chair William H. Stoddard (halloffame@lfs.org) at any time. Nominees may be in any narrative or dramatic form, including prose fiction, stage plays, film, television, other video, graphic novels, song lyrics, or epic or narrative verse, within the realm of science fiction and fantasy. The Libertarian Futurist Society also presents the annual Prometheus Award for Best Novel and welcomes new members who are interested in science fiction and the future of freedom. More information is available at our website, www.lfs.org.